Santa Rosa, CA – (January 6, 2015) – Summit State Bank (NASDAQ: SSBI) welcomes Roni Brown as their new Vice President and Marketing Director. "We welcome Roni as a valuable addition to the Summit team. Her knowledge, leadership skills and strong sense of community is an added bonus to her extensive marketing background she brings with her to Summit," said Tom Duryea, president and CEO of Summit State Bank. 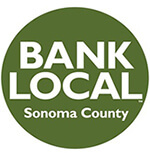 Roni Brown has more than 21 years of banking experience in Sonoma County. Her marketing background has served her well throughout her professional career. In addition to banking, Roni has worked in healthcare and, most recently, in the telecommunications field. Roni is a graduate of the School of Bank Marketing at the University of Colorado at Boulder. Roni currently serves on the Board of Directors with Schools Plus, Chair for this year’s Santa Rosa Chamber of Commerce Showcase Sonoma County and a member of the Executive Leadership Team for the 2015 North Bay Heart Walk. Roni has lived in Sonoma County most of her life and raised her two adult daughters here. In her free time, Roni enjoys spending time with her five grandchildren and Black Labrador, Ben. 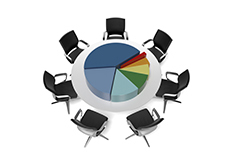 Summit State Bank has total assets of $463 million and total equity of $66 million at September 30, 2014. Headquartered in Sonoma County, the Bank provides diverse financial products and services throughout Sonoma, Napa, San Francisco, and Marin Counties. Summit has been recognized as one of the Top 75 Corporate Philanthropists in the Bay Area by the San Francisco Business Times and Top Corporate Philanthropist by the North Bay Business Journal. In addition, Summit State Bank received the 2013 Rising Star Award from the California Independent Bankers, the 2012 Community Bank Award from the American Bankers Association for its nonprofit work, and has been recognized as one of the North Bay’s Best Places to Work by the North Bay Business Journal. Summit has also been consistently recognized as a high performing bank by Findley Reports. Summit State Bank’s stock is traded on the Nasdaq Global Market under the symbol SSBI. Further information can be found at www.summitstatebank.com.